At a child’s birthday party one afternoon, while a few of us older folks were watching the kids play soccer and color masks, we were in essence discussing child development. The advancing skills of these children, aged four to six, amazed us. They were learning to play by rules, kick the soccer ball with authority, paste stickers in neat designs, cooperate, share, and focus. They made up cooperative rules for competitive games. They played together without frustration, aggression, or injuries. They played with almost no adult supervision. Just as amazing is the realization that most children in this age group could master many of these self-control, self-regulation, and social interaction skills. The children we watched are from professional families. That brought to mind a remarkable piece of research. I referred to the study contrasting these children of affluence, from highly educated families, with the many children we see in the clinic who come from less well-off families which have less educational attainment. As I recalled, a study showed a three million word difference between how much verbal input higher income-higher education families provide their children by age four as compared to low income- lower education families. These are the words of interaction from the parents. I was startled just repeating the number. The others were astonished by that magnitude of difference. Later, a teacher at the party pointed out my mistake. That figure is not the enormous number of 3,000.000. No, I was off by a factor of 9, namely, 27,000,000 words. The true figure is 30,000,000. I double checked the information. Indeed, a long term study by Betty Hart and Todd Risley found the difference by age 4 is 30,000,000 words, about 1200 words per waking hour throughout the first 4 years. Even if we criticize the study on the basis of a small sample or the manner of extrapolation from the limited observations in this study to the child’s entire early life experience, and even were we to do the study with a larger sample, the difference likely to be found in subsequent studies is still going to be so very enormous. Plus the difference between these class groups is fairly stable over time. 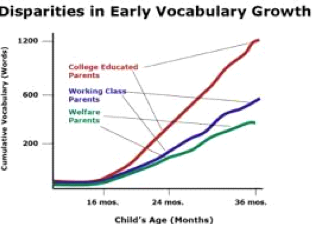 The impact is that by age three, the vocabulary of children from the highest educated group exceed that of the lower economic group by a factor of 2 or 3. Not only did the less advantaged children have smaller vocabularies. They added new words more slowly. In other words, the gap continued to expand. 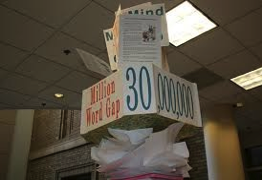 Gaps remained mostly stable when the kids who were 2 or 3 were measured again at age 9 or 10. We know that vocabulary size is associated with higher levels of income and attainment. Hart and Risley raised the concern that children in the least advantaged circumstances may not have the vocabulary needed for understanding standard books and high school textbooks. Furthermore, educational efforts to overcome the disparities were dwarfed by the impact of family communication patterns. Educational experiences did not significantly close the gap. The children in the study were observed interacting with their families. The children were equally nurtured and well cared for regardless of economic status.. So the findings cannot be attributed to factors other than the amount of verbal communication in the family. We know that positive reinforcement, celebration of achievements, approval, recognition, and the expectation of succeeding are powerful motivators. Children often need a push in order to try tasks that are difficult. They need positive reinforcement for their new skills and learning. What might happen if they received less of those important positive words and far more negative words – words which prohibit activities, criticize performance, or point to what was not going well? Children tend to live up to (or sometimes down to) what is expected of them. Expectations of success are often met with greater effort. Expectations of failure can be demoralizing. So the study’s findings about positive versus negative motivators were also astonishing. In the study, it was not merely the volume of words which differentiated the groups. Along with the sheer number of words, Hart and Risley counted words of encouragement and praise versus words of discouragement. They found a large difference in how much praise and encouragement children receive. Higher economic status was associated with about six words of encouragement to each word of discouragement. In working class families, the ratio was about 2:1, meaning life for those children was far less encouraging. For thirty years, the authors had been focusing efforts on helping children from poorer families to achieve higher educational attainment. Much of their work was at a center which worked with children from poor families or on welfare. So, in what they termed “welfare” families, the ratio of encouraging-to-discouraging words was reversed from other families, that is 1:2, meaning twice as many discouraging words which, in effect, totally dominated the positive words. The authors observed a phenomenon we often see in the clinic, namely, these families used far fewer parent-child interactions, with more of the focus of interactions being centered on prohibiting behaviors, on socialization, and on disciplining. It is not that other families neglect these interactions, but they are more likely to control or socialize by reinforcing desired behaviors and encouraging appropriate responses. Furthermore, higher economic class families spend a lot more of communications expressing encouragement, with its connotation of higher expectations. In the professional families, the children heard 560,000 more words of encouragement than discouragement over four years. The gap for a working class family was only 100,000. The raw number of positives was less than half of that in the higher income families. So those children received a great deal less of positive reinforcement and positive expectations. Children in the ‘welfare’ families received 144,000 less encouraging words than discouraging words. That means they heard 300% more discouraging words than the children from the more educated homes. The number of encouraging words was also far less than those heard by working class families, actually about 140,000 fewer. Lastly, the authors report the ‘welfare’ families showed far fewer “back-and-forth” conversations, more one-way conversations. This tends to sound as if effort, abstract reasoning, presenting a reasoned argument, discussion, and listening to children were less valued in those families. We know that a baby’s brain over-produces neurons, those potential connections it will need in life. Then the brain prunes away potential connections which prove to be unnecessary for adaptation to the child’s environment. We know that an enriched early environment leads to more connections, meaning more memory, more verbal capacities, more learning. The brain whose adaptation is stretched in order to manage a richer environment should be better able to manage a variety of environments in the future and to accomplish more problem-solving, more achievement. In earlier life, this would translate into higher school readiness by age 5. In the study, it translated into higher educational outcomes across the board. We want to put these stunning findings to use in our work. Where Hart and Risley are concerned with early childhood education, we are concerned about mental health and behavior change. Psychotherapy has often been mainly a verbal endeavor. But this study is a reality check on the methods clinicians value. Our methods must be adapted for children who may not be as verbally-oriented as may be needed for standard individual therapy or even for cognitive therapy. Clearly, in clinical work with children, we should always check that the child fully understands the clinician’s comments. Children may take language which is figurative in its concrete sense. We also assume children use oral, verbal methods for thinking through problems and making changes. But that may not be the preferred channel for behavior management for the child and family where the child is not used to positive verbal management of behavior. Also cogent is the finding that the parents and children are highly matched in verbal patterns. More of the families in the study relied on approaches which are only somewhat positive and encouraging or predominantly not positive at all. Since we know that positive reinforcement of behavior increases its frequency, and we know it is a more effective strategy than punishment, so our methods must help transform family interaction toward the positive. That means reinforcing both generations for positive behavior, the parents for positive strategies and words as well as the children. Many parents will expect a “disciplinary” or punitive or negative approach. We do not want to argue about that. It may be that the alternative we offer is outside the family’s framework. The clinician will need to find ways to demonstrate a new approach and to shape new interactional behavior without using persuasion or argument. When we use play or activity-based methods of therapy, it seems we should verbally mediate the play – labeling every feeling being expressed, re-stating the child’s actions in words, highlighting in words each skill used by the children. By verbalizing, we are demonstrating a new way of interacting. We are also increasing the reproducibility of the behavior. The same principle applies to the behavior of parents! I leave it for others to think of even more creative or effective ways to use the 30,000,000 word findings. For more information, check these sites. This entry was posted in Clinical News You Can Use and tagged activity, child, childhood, communication, control, education, interact, news, parent, play, positive reinforcement, praise, problem-solving, regulation, research, success, therapy, verbal, vocabulary, welfare, words on March 3, 2015 by Shorehaven Behavioral Health. 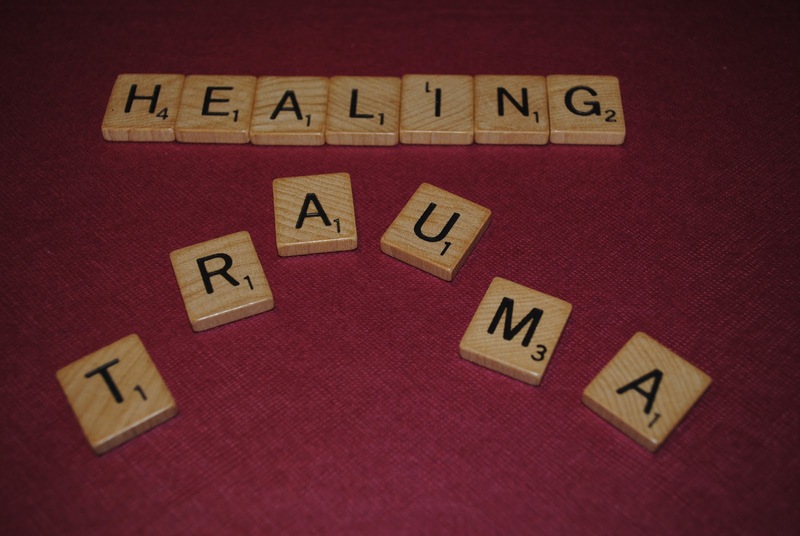 Did you know that most emotional problems derive from earlier life experiences? 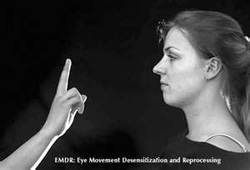 EMDR is a complex method that can assist in bringing about changes in how the nervous system processes experiences. To learn more about EMDR, please read our brochure, which can be accessed by clicking on the link above. This entry was posted in Clinical News You Can Use, The Wellness Zone and tagged anxiety, behavior, brain, cognitive, depression, desensitization, EMDR, emotion, eye, physiological, process, psychoanalysis, psychotherapy, PTSD, self-esteem, sexual abuse, therapy, trauma on March 15, 2014 by Shorehaven Behavioral Health. Many of the children in Shorehaven’s In-Home or Outpatient mental health and psychiatry programs display aggressive or hostile behaviors. We work to change these behaviors, to replace them with more effective, appropriate behaviors. In this essay, we are going to go over seven steps for parents to take when a child has persistent aggressive behavior. Such behaviors may be mostly verbal threats or negative remarks, such as “I hate you,” “You’re the worst parent,” “You’ll pay for this.” The behaviors may be mostly physical abuses, such as throwing or breaking objects, holding kitchen knives while make threats, or hitting. The behavior may be frequent or intermittent. The behaviors may be in several environments such as home, school, and with peers, or only in one environment, such as at mother’s house, but not at father’s house. You may have tried everything you can think of to change the behavior on your own. Or you may have sought treatment or medications without seeing the behavior change. If this sounds familiar, then consider these steps. This entry was posted in Clinical News You Can Use, The Wellness Zone and tagged aggression, child, fight, mental health, violence, yelling on December 20, 2012 by Shorehaven Behavioral Health. In the wake of recent shootings in school, children are very aware of such events in the world. Their understanding may be accurate or may be filtered and distorted in some way. The child could be very anxious or concerned. Here are some simple recommendations for talking with your child about these events. The best time to talk is at or after a meal, but not before bedtime. Find out what the child knows or heard about recent events; often the information is incomplete or distorted through a child’s lens, so you can correct that. 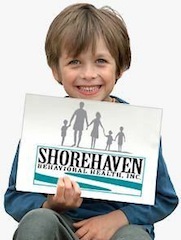 This entry was posted in Clinical News You Can Use and tagged children, concern, danger, event, feeling, gun, news, plan, reactivity, school, shooting, trauma, violence on December 18, 2012 by Shorehaven Behavioral Health. Psychologists have been licensed since around 1977 and approved for insurance payments since around 1978. In the early 1990s, a law was passed creating certification of Marriage and Family Therapists, Social Workers and Clinical Social Workers, and Professional Counselors. Certification only meant that no one could use those titles unless they met certain minimum requirements and were approved by the Department of Regulation and Licensing. A law passed in 2001 upgraded certification to licensure. That meant not only were the titles protected, but the very practice of psychotherapy was limited to those with one of these licenses. All along, graduate students could practice under Medicaid and bill under a supervisor. All this time, around 34 years, those who had graduated with a masters or doctorate, but who had not completed the Approved Provider credential or, after 1993, certification, could not practice under Medicaid – their services could not be billed to Medicaid. This gap left new Masters level clinicians scrambling to get 3000 hours. Finally, this week, Medicaid issued a bulletin, 2012-64, rectifying this long-standing problem. From now on, masters-level clinicians who procure a training license and PhD/PsyD level clinicians who are on post-doctoral training will be able to credential as Medicaid providers. They will be known as Qualified Treatment Trainees (QTT), a title defined under DHS35.03. These provisions ONLY apply when the clinician works for a licensed mental health clinic. This a major step to enable clinicians to train for licensure and to increase the capacity of the mental health community to serve Medicaid clientele. This entry was posted in Clinical News You Can Use and tagged bill, insurance, license, licensure, masters, Medicaid, mental health, new rules, policy, provider, psychotherapy, QTT, trainee on December 6, 2012 by Shorehaven Behavioral Health. Clinical News You Can Use: EXPRESSED EMOTION AND RELAPSE. ARE YOU A HIGH EE PROFESSIONAL? Research over about 30 years demonstrates a strong relationship between Expressed Emotion [EE] and relapse in many disorders, such as schizophrenia, anxiety disorders, substance use disorders, childhood psychiatric disorders, and depression. EE seems to be a major factor in relapse and recurrence. While EE affects the onset of these disorders and is high in families of children at risk of depression, it is not as robust a factor in the initial onset of these disorders as it is in relapse after remission. High EE corresponds to a poorer prognosis. The relapse rate for those living in a high EE environment is about 56%, 1.5 to 5x the rate for those in a low EE environment. Professionals are high EE people. Finally, professionals show a surprising degree of high EE. We are sometimes a cause of relapse! But with experience professionals learn to show lower EE and to be more successful with clients. Three factors in high EE. High EE does not mean all emotion, certainly not positive, supportive, encouraging, hopeful emotions. But rather, high EE refers to three factors, Criticism, Hostility, and Over-involvement. This entry was posted in Clinical News You Can Use, Uncategorized and tagged anti-depressants, anxiety, child, criticism, depression, disorder, emotion, expressed emotion, hostility, over-involvement, recurrence, relapse, schizophrenia, substance, symptom on October 14, 2012 by Shorehaven Behavioral Health.